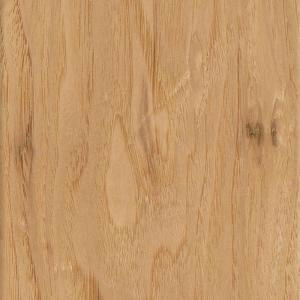 Hampton Bay Middlebury Maple is a light and airy maple grain 12 mm narrow plank laminate flooring with a beveled edge. A durable and realistic alternative to higher priced wood flooring, this floor is designed to withstand wear and tear from an active household. The classic European look of maple creates a warm and inviting space, with easy installation and care. The boards install with an interlocking system as a free floating surface on top of most existing floors and are not nailed or glued. Each plank is 4.96 in. wide x 50.79 in. long, and carries a 25-year warranty for peace of mind. Hampton Bay Middlebury Maple is proudly manufactured in the USA. Buy online Hampton Bay Middlebury Maple Laminate Flooring - 5 in. x 7 in. Take Home Sample HB-531606, leave review and share Your friends.